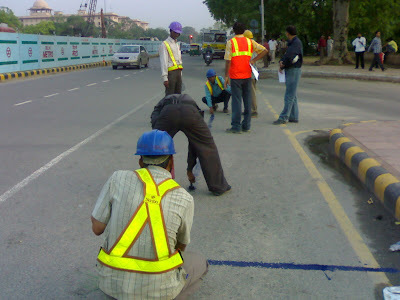 These men were working in the middle of the road. I have no idea why they were painting the road blue. Although, my guess is, it was something important considering the commotion that preceded the actual line marking.